On Monday Oct. 26, Wendy Hernandez, a local immigration lawyer, came to talk to the Borders as Methods group on campus. 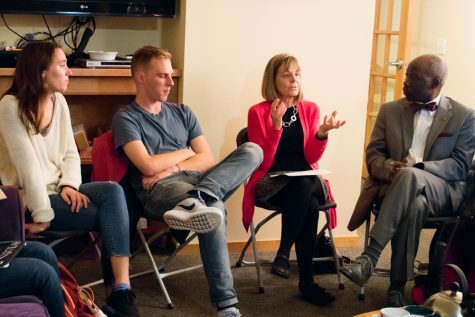 With Associate Dean for Intercultural Affairs and Chief Diversity Officer Kazi Joshua acting as facilitator, an hour-long discussion on immigration was held. With this election containing some of the most polarizing and unpopular nominees in history, their stances on immigration were analyzed by the impact they would have locally. This Week in Reality TV: Presidential Debate! While the most vocal Whitman students feel the Bern when it comes to their president of choice, Whitman students are backing many different candidates this presidential season.